rkwsuperstar wrote: Yea, it was a big can. I saw it at the gas station and gave in. Only size they had. Drinking and driving is wrong. 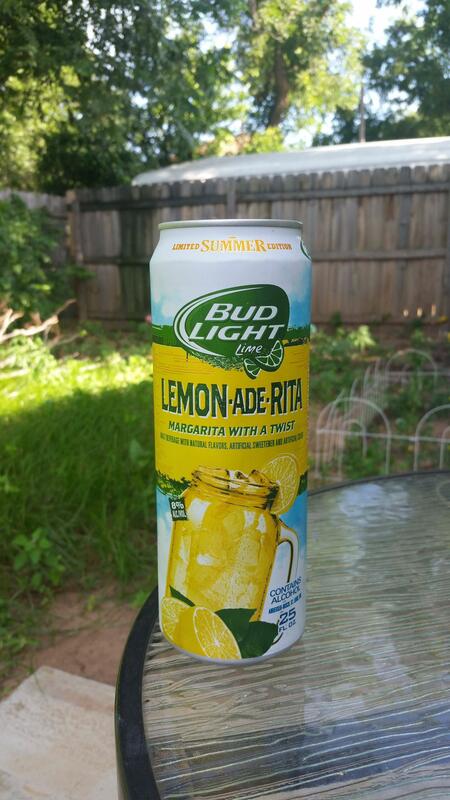 Let's offer the largest portions of on-the-go alcohol we can imagine. rkwsuperstar wrote: Polk, nudist colony oak lake trails. Depew ok. Between okc and Tulsa. Why am I not surprised. Tulsa is like a little piece of California fell down a waterfall and ended up in the Land Of The Lost. OKLAHOMA IS THE LAND OF THE LOST. This idea intrigues me. Arkay, for some reason that pic shows up as a broken symbol thingie on my end. Polk, nudist colony oak lake trails. Depew ok. Between okc and Tulsa. 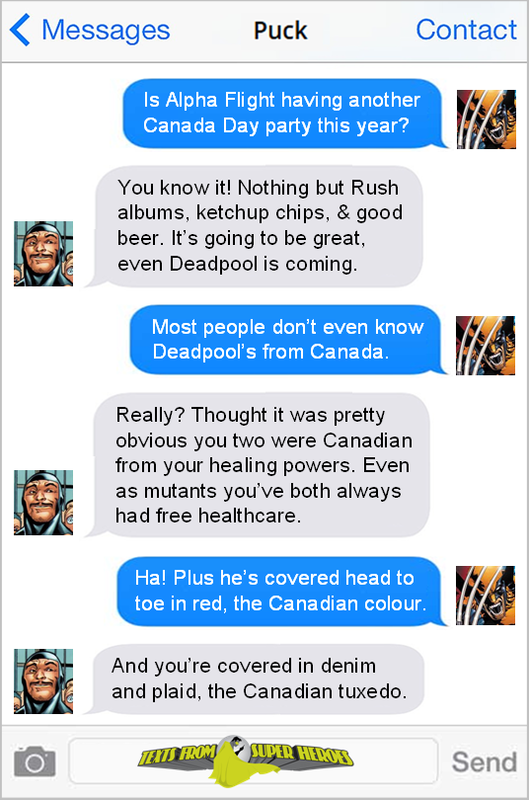 Nebs, find the image kegs posted of a text between wolverine and Deadpool, for the ketchup thing. Yea, it was a big can. I saw it at the gas station and gave in. Only size they had. NebulaJack wrote: Hi gang. Today was hot, but not too uncomfortably so. I was asked by someone driving next to my corner if I had any water, which is the second time in the past week or so that a random passerby has expressed concern about my hydrative well being. I forgot to mention it, but the other day I finally got some cloudy overcast greyness, sadly it hasn't lasted. A week of gloomy cloudy days would be nice right about now. Now that I'm home, I'm letting my tired feet relax while I'm slackin' and debating whether or not to make a poll for today or just wait til tomorrow. My bosses decided we need to count inventory every Wednesday night or Thursday morning before opening. SO I stayed late tonight to count. I'm still waiting on my WalMart frozen pizza dinner to be ready before I toddle off to bed. Nice. What flavor of pizza? Sausage and pepperoni. They're the individual sized thick crust ones that are just about the size of a small saucer. I added a little extra cheese and now I have eaten and ready for bed. Sleep well and don't dream of Orange Beetles. Saw something wacky enough on Amazon that I decided to create a poll about it. Also, what's all this talk of ketchup and chips, did I miss something? what town is it in or near? 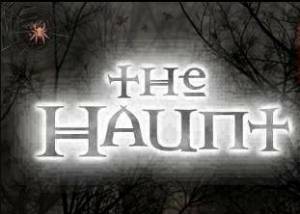 I'm betting it's up near Tulsa. Those Tulsans aren't like REAL Oklahomans. Is that like a double sized can? They're already 8% alcohol or something. That sized can would probably put me down. I'll look for them though and if they have them at WalMart I will buy at least one. I still do just about everything you tell me to do. rkwsuperstar wrote: Ketchup chips? Ew. What? Do you not like ketchup? Or is it just the idea of chips flavoured that way? When I was in Mexico there was a brand of chips called "catsupapas" which was a small bag of Lay's-like chips that came with a little packet of ketchup. You opened the bag and squeezed the ketchup into it. The you folded the bag closed and shook to distribute the ketchup. It seemed nasty to me-- like eating little blood-covered chips. But it was very popular. Hi gang. Today was hot, but not too uncomfortably so. I was asked by someone driving next to my corner if I had any water, which is the second time in the past week or so that a random passerby has expressed concern about my hydrative well being. I just have a limited palate, kegs. And crunchy. And not hot. rkwsuperstar wrote: I like ketchup on french fries. Only. Well, it's like fries. Only thin. And circular. I like ketchup on french fries. Only. kegs wrote: sigh. All you people with car troubles. My feet never break down. But the bus does. So does the metro. I want a car. Public transportation is not a thing in Supesville. No bus, no taxi, no subway. Even if there was, I'm not sure the bus would travel 6 miles outside of the city limits to bring me to work.